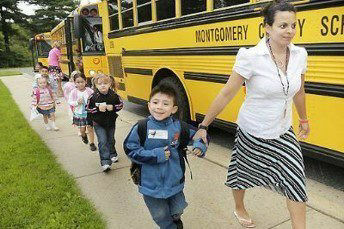 The Maryland State Highway Administration provided a $561,286 grant for the Safe Routes to School program. 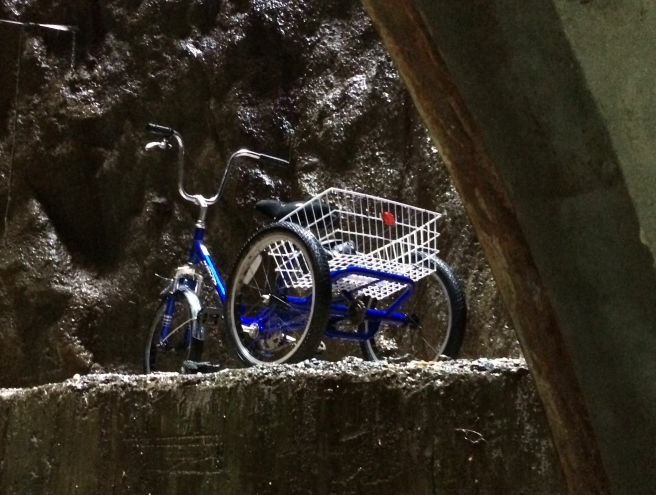 Issues such as a lack of sidewalks, narrow roadways used by pedestrians, erosion and sediment problems and non-ADA compliance resulted in a critical need to complete the project. The road network in the Town is owned and maintained by Garrett Park, except for Strathmore Avenue which is owned by MSHA. The design of the project provided by Clark | Azar & Associates involved 3,500 linear feet of sidewalk within Town limits. 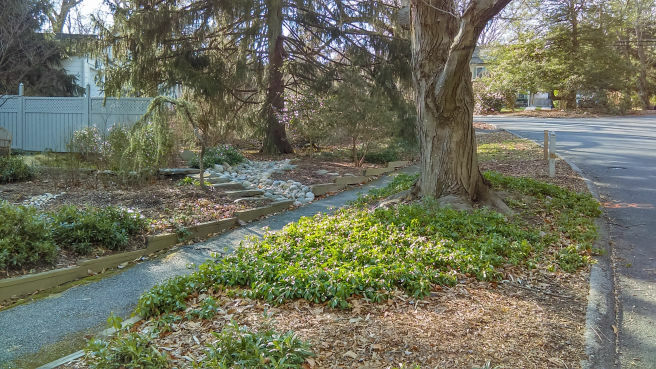 Major considerations in the design of the sidewalk improvements included the need to protect mature trees, maintain the historic characteristics of the town, work with citizens, and be mindful of the environmental attributes of the site. We were especially mindful of the importance of protecting mature trees throughout the right-of-way and remediating erosion. Also, a limited right-of-way caused issues with meeting Montgomery County DPS stormwater management requirements for the project. To alleviate this, the CAA team proposed an outfall stabilization project to offset the inability to provide Environmental Site Design facilities along the route. 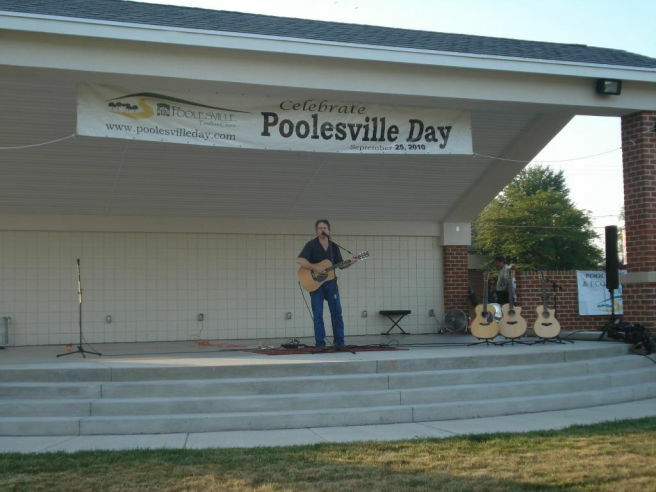 A portion of the Town of Poolesville is on the National Register of Historic Places. The Clark Azar team has been the Town Engineer for Poolesville since 2007, overseeing more than 250 task orders related to the maintenance of the town’s historic structures, major rehabilitation to roadways and sidewalks, the implementation of a stormwater management plan, upgrades to zoning and master plans and energy renewal and sustainable design. 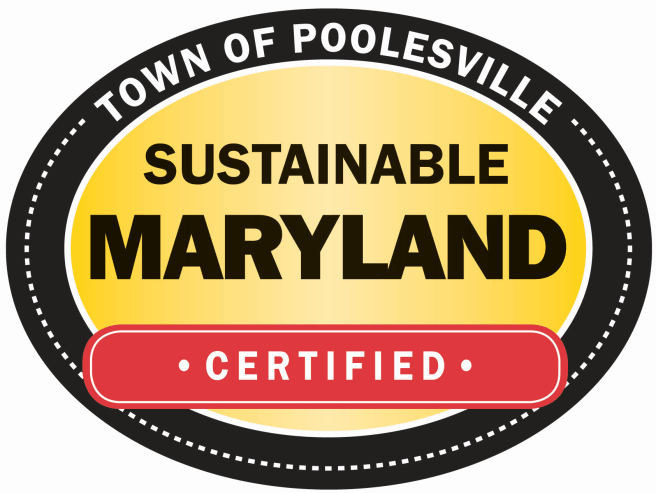 Poolesville has achieved major progress in energy conservation and sustainability. In addition to helping the Town develop and construct its new Town Hall with pervious pavement parking, we helped secure contractors for the installation of 4,500 solar panels to the Town’s wastewater treatment plant, making it the only municipality in Maryland to own a source of renewable solar energy. We also assisted the Town in attaining Sustainable Maryland certification. In the past five years, Clark Azar has been responsible for helping the town retrofit about 5,000 linear feet of sidewalk through the Town. We provide site inspections, technical guidance, design and construction oversight for ADA-compliance, repaving, the addition of curb and gutter and stormwater management. The CAA team designed sidewalk improvements to serve the local middle and high school. 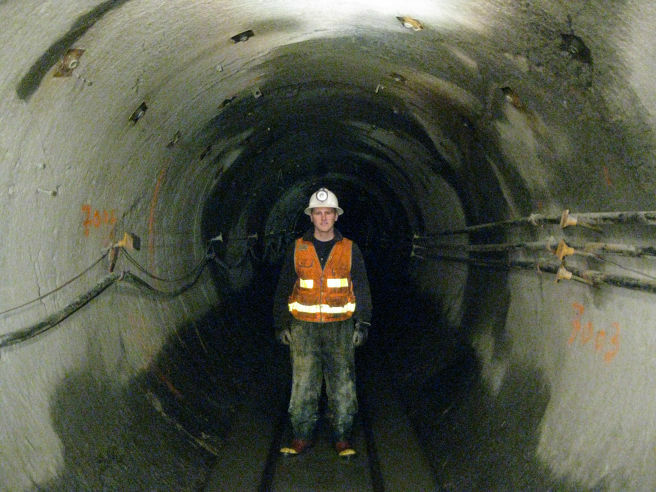 From 2010 to 2015, the Clark Azar team provided full-time personnel on the construction management team for a new $113 million, 5.3-mile, 84-inch diameter water main in a 10-foot diameter tunnel. The main, which connects two existing 96-inch diameter pipes in Montgomery County, is part of a transmission system that connects the potable water system from WSSC’s Potomac Treatment Plant to Prince George’s County. The line delivers 100 million gallons of water per day. The bi-county tunnel was excavated from the main shaft in two directions by the use of "Miss Colleen," a tunnel boring machine within solid bedrock approximately 200 below ground level. The construction work on all three main shafts, 200 feet of open cut pipeline segments and vault are located in an urban environment. This project required the owner, Washington Suburban Sanitary Commission, to obtain various permits from Maryland Department of Environment (MDE) and Maryland State Highway Administration. A water treatment system was built onsite and bi-annual discharge and monitoring reports were submitted to MDE. Team members provided by the CAA team including civil construction inspectors and administrative assistants. Photo 1 is our team inspector; photo 2 is inspectors being transported down the shaft; and photo 3 is the means of transportation from one end of the tunnel to the other. 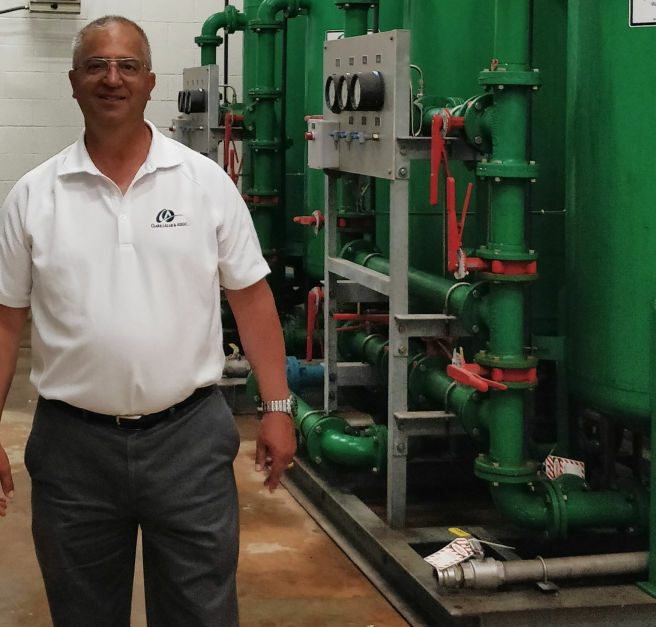 Clark Azar is helping a number of agencies upgrade their facilities to comply with ADA regulations and to increase safe access to schools, parks, government buildings and office complexes. Montgomery County Department of General Services’ Library Refurbishment Capital Improvement Program is overseeing upgrades to a number of county libraries. 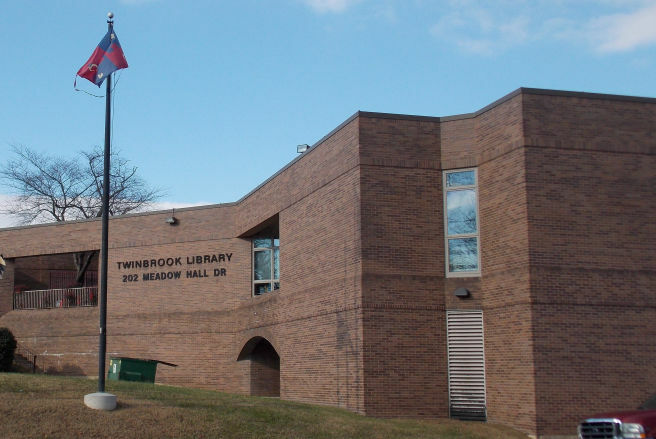 Twinbrook Library and Kensington Park Library are two projects CAA provided site upgrades for, including safe access, parking lot upgrades, ramps and sidewalk improvements. 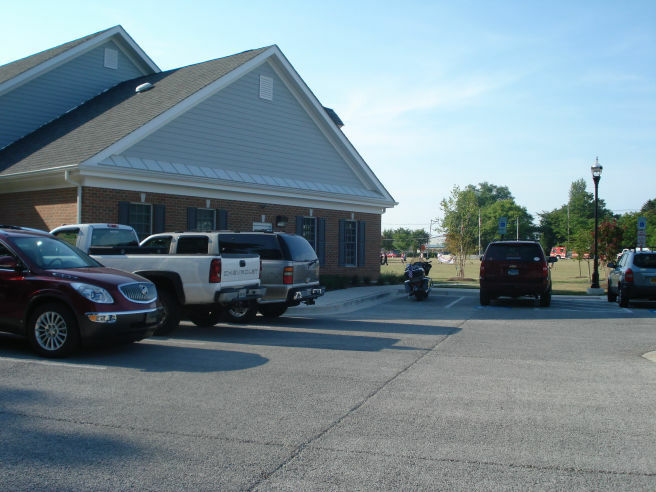 For Montgomery County Department of Transportation, we are on a contract providing improvements to parking lots and garages around the county, including the development of Traffic Control Plans, designing repaving and improving handicapped parking. Montgomery County Public Schools is providing fire access to schools where portable classrooms are being installed; to date, CAA has developed 42 of these plans and has also provided driveway and road improvements for bus and parent drop-off lanes. 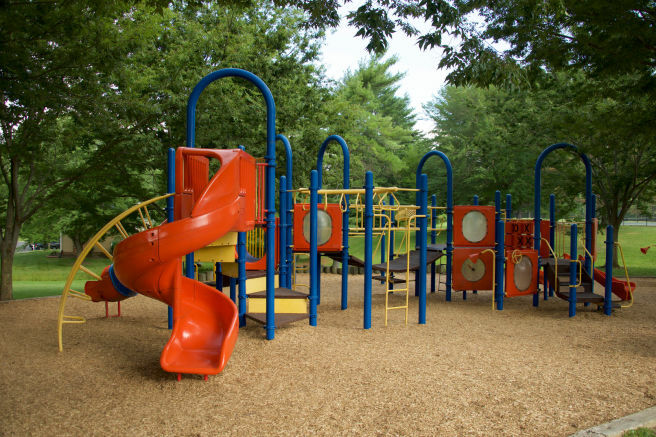 Maryland-National Capital Park and Planning Commission has retained the CAA team to help improve its parks and trails by upgrading playgrounds and providing safe connectivity from trails to schools and parks by improving drainage and replacing pavement. 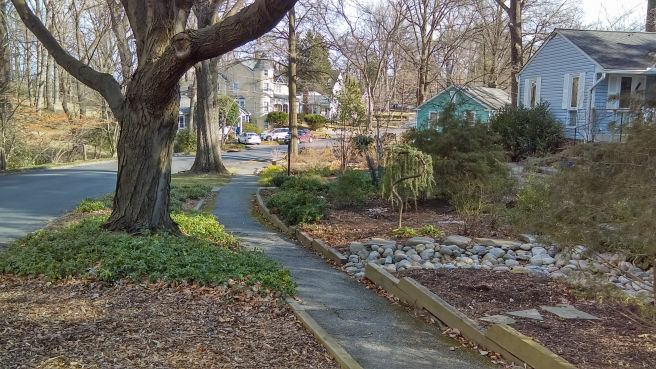 CAA was recently selected by the Town of Chevy Chase View for a sidewalk improvement project that will add ADA-compliant crosswalks and curb and gutter. 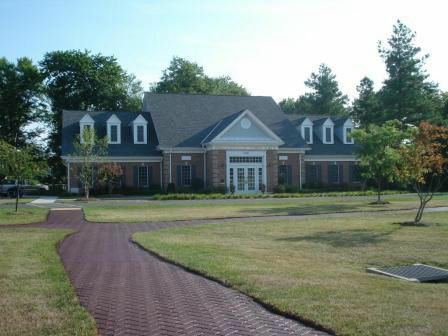 In 2008, CAA staff oversaw the construction of the Town of Poolesville's new town hall, a one-story, 4,880 square foot building comprising meeting rooms, offices, and support facilities. The parking lot was designed with pervious pavement to optimize opportunities to reduce impervious areas. 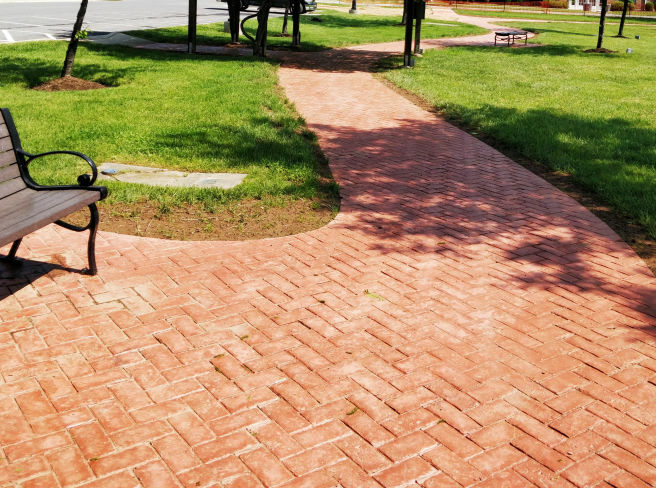 For low-impact development, the Town opted for pervious pavement on its parking lot, a safe and sustainable alternative to standard asphalt pavement. The pervious concrete absorbs stormwater, eliminating the need for traditional stormwater management devices such as detention ponds, swales, curb and piping. In addition to meeting EPA’s stormwater regulations for Best Management Practices, pervious pavement is safer than traditional concrete because it maintains traction when it gets wet and prevents black ice from forming on the concrete. 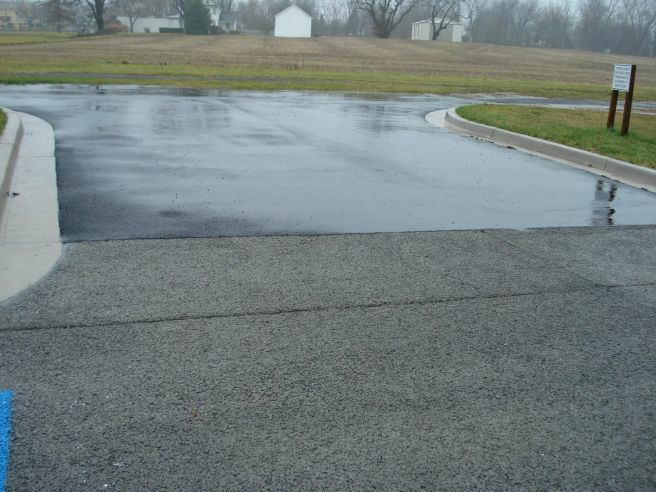 Photo 3 demonstrates the difference between pervious pavement on the parking lot and the typical asphalt on the access road outside Town Hall. Pervious pavement prevents black ice and flooding, increasing safety for drivers and pedestrians. Four years after the parking lot was constructed, we tested the product by flooding the parking lot with a fire hose and examined cores for uniformity of placement. The pervious pavement was in excellent condition and continues to function effectively. Lagoon Influent Pump Station: In accordance with MDE, Town of Poolesville and Montgomery County requirements, CAA team members provided design, specifications and construction management services for a lagoon influent lift station. 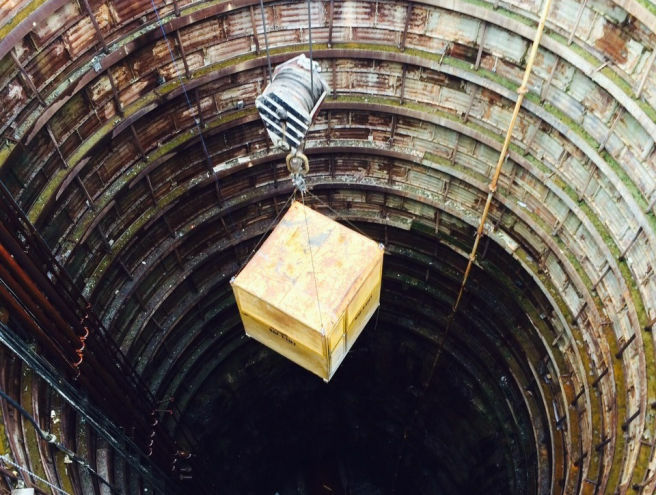 The project involved the demolition of the existing influent lift and the construction of a new lift consisting of a self-priming above-ground lift station, modifications to an existing wet well, and electrical/communication systems. 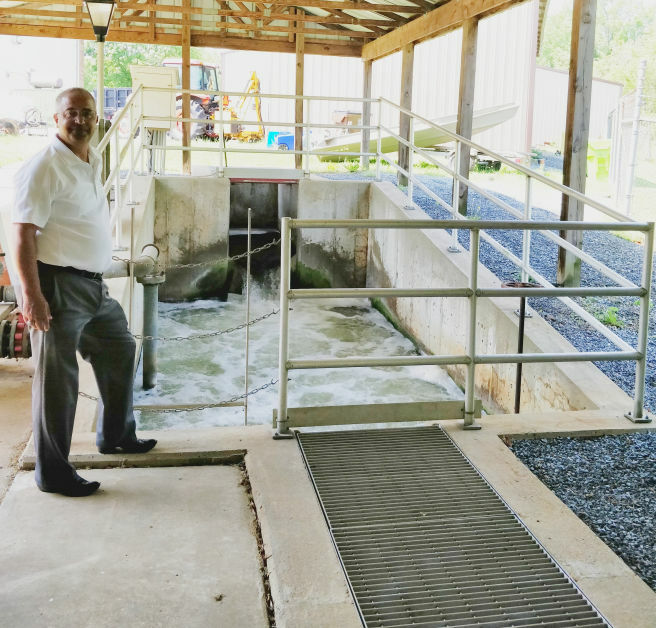 Water Transmission Mains and Wells: The Town of Poolesville’s water system is totally dependent on well water. The water system contains seven wells and two water storage tanks. CAA staff has been involved in the location and development of several of the well sites including design and processing of groundwater appropriation permits through the State of Maryland. Each well has its own well house providing water treatment including filtration and disinfection and connected to a SCADA system. The system is interconnected to allow the wells to pump directly into the system as well as fill both of the storage tanks. Radon and Uranium Removal: CAA project managers were responsible for helping the Town implement the state of Maryland’s first permitted radon and uranium removal system from its water well. Denitrification System: currently in design by CAA; includes containment buildings for methanol storage, equalization and filters. Also includes pumps and valves. Project is state-funded and includes coordination with MDE. The BNR and ENR projects involved securing grants and State Revolving Loans, so securing minority and disadvantaged business enterprises and coordinating with Maryland Department of the Environment was ongoing. The Town's wastewater treatment is solar powered. In 2016, our team was recognized by the American Council of Engineering Companies Metropolitan Washington with a merit award for the rehabilitation of inflow and infiltration in the sanitary sewer system resulting from heavy storms. 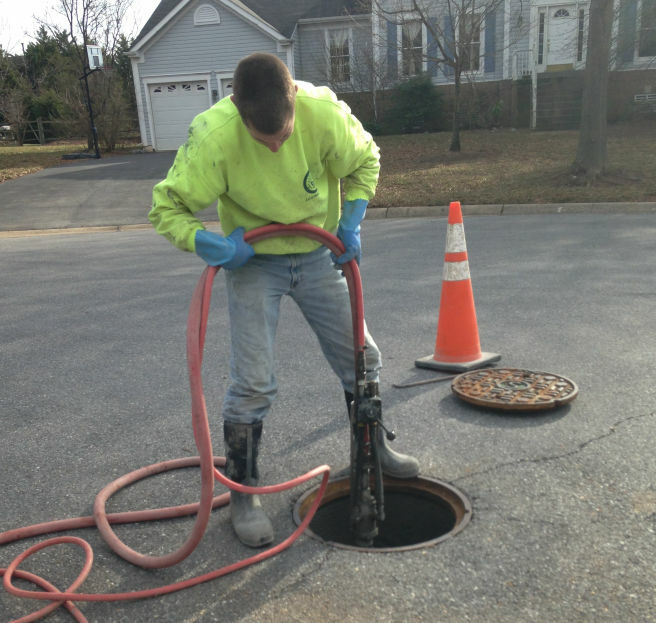 Our team helped the town secure a Maryland State Revolving Fund loan and designed and oversaw construction of the relining of sewer mains and laterals. The project consisted of relining 15,644 linear feet of 8-inch main lines, 3,512 linear feet of 6-inch mains and 8,370 linear feet of 4- inch laterals. The result of this major project was an 89% reduction in I&I.